Laura Cacheiro Quintas is a PHD Student in Audiovisual Translation and new technologies. Her thesis is co-directed by the Université de Perpignan Via Domitia (France) and the Universitat Jaume I (Spain). Her research focuses on the integration of new technologies in the subtitling of video lectures with the purpose of assisting translators in their professional activity. Currently working as a translator for the MIRO Programme at the University of Perpignan, where she tests the implementation of CAT tools and their adaptation to translation workflows, Laura also teaches Audiovisual Translation and Interpreting to second and third year undergraduate students at this university. Making audiovisual educational material accessible for non-native speakers and people who are deaf or hard-of-hearing is an ongoing challenge and the state-of-the-art in this field shows that no current software provides a fully automatic, high-quality solution. This article presents Miro Translate, a hybrid intralinguistic subtitling tool developed in response to this challenge by the MIRO Programme at the University of Perpignan Via Domitia. This cloud-based solution proposes synergies between machine and human subtitlers to simplify the technical and linguistic tasks of subtitlers. To this end, Miro Translate integrates the automatic speech recognition (ASR) technology provided by the Microsoft Translator Speech API, a deep neural network (DNN) system and TrueText technology to improve speech readability. Auto-generated captions constitute a solution to enhance productivity. Nevertheless, certain subtitling conventions must be considered to provide a readable and legible target output. A set of pre-editing and post-editing functionalities have been identified to assist the machine in the spotting task and to improve the quality of auto-generated captions. In conclusion, Miro Translate constitutes a cost-efficient solution to meet the increasing demand of high quality captions for video lecturers. Gloria Corpas Pastor, BA in German Philology (English) from the University of Malaga. PhD in English Philology from the Universidad Complutense de Madrid (1994). Visiting Professor in Translation Technology at the Research Institute in Information and Language Processing (RIILP) of the University of Wolverhampton, UK (since 2007), and Professor in Translation and Interpreting (2008). Published and cited extensively, member of several international and national editorial and scientific committees. Spanish delegate for AEN/CTN 174 and CEN/BTTF 138, actively involved in the development of the UNE-EN 15038:2006 and currently involved in the future ISO Standard (ISO TC37/SC2-WG6 “Translation and Interpreting”). Regular evaluator of University programmes and curriculum design for the Spanish Agency for Quality Assessment and Accreditation (ANECA) and various research funding bodies. President of AIETI (Iberian Association of Translation and Interpreting Studies), member of the Advisory council of EUROPHRAS (European Society of Phraseology) and Vice-President of AMIT-A (Association of Women in Science and Technology of Andalusia). Interpreting is an extremely strenuous task, since they must devote much effort in terms of decoding, memorising and encoding a message. Interpreters should, as translators and other language professionals do, benefit from the development of technology and, thereby, enjoy considerable improvement of their working conditions. However, currently their work relies by and large on traditional or manual methods, and the technological advances in interpreting have been extremely slow. Unlike translators, for whom a myriad of computer-assisted tools are available, interpreters have not benefited from the same level of automation or innovation. Fortunately, there is a growing interest in developing tools addressed at interpreters as end users, although the number of these technology tools is still very low and they are not intended to cover all interpreters needs. interpretation process and in the preparation of various interpretation tasks. 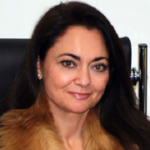 Dimitra Kalantzi is a professional English to Greek translator currently based in Athens. 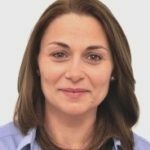 Over the past 13 years, Dimitra has worked for companies and translation agencies both in the UK and Greece, as well as for the European Parliament in Luxembourg (as a trainee translator). She has an MSc in Machine Translation from UMIST, UK and a PhD in Informatics (subtitling and linguistics) from the University of Manchester and is a member of the Institute of Translation and Interpreting (ITI) and the European Association for Machine Translation (EAMT). There is no doubt that MT is nowadays one of the major trends in the translation industry. Indeed, more and more translation agencies offer MT and post-editing services to their clients, and professional translators are more and more likely to be offered post-editing tasks in their everyday work. In this context, and drawing from my own experience with MT and post-editing as a translator, I will discuss some common myths around MT and post-editing, will suggest some additional services that both translation agencies and freelance translators can offer in relation to MT, and will also put forward some reservations and ideas regarding MT evaluation within the translation industry. This paper will also make a plea to universities and academics involved in the teaching of MT courses and modules to also cater to the needs of practicing translators. Koen Kerremans is professor in terminology, specialised translation and translation technology at the department of Linguistics and Literary Studies of Vrije Universiteit Brussel, where he obtained his PhD in 2014. His research interests pertain to applied linguistics, language technologies, ontologies, terminology, special language and translation studies. He is the coordinator of VUB’s master programme of translation and teaches courses on terminology, technical translation and technologies for translators in the master programmes of translation and interpreting. Helene Stengers is professor in Spanish proficiency, translation and Interpreting at the department of Linguistics and Literary Studies of Vrije Universiteit Brussel, where she obtained her PhD in 2009. Her research interests lie in applied comparative linguistics (especially English and Spanish), cognitive linguistics, phraseology and Foreign Language acquisition (mainly vocabulary acquisition) from a multilingual and intercultural perspective with a view to optimize Foreign Langage pedagogy, as well as translation and interpreter training. She is the research director of the Brussels Institute for Applied Linguistics. In this paper we discuss some preliminary results of a comparative study into the use of online and/or mobile virtual communication tools in the master programmes of interpreting and translation at Vrije Universiteit Brussel. Both master programmes are based on a situated learning model, which is generally understood as a didactic method in which translation and interpreting students learn the profession and acquire professional skills through hands on experience by exposing them to simulated or real work environments, situations and tasks. In recent years, this learning-by-doing approach (or authentic experiential learning) has gained quite some traction in translator and interpreter education. In creating authentic learning contexts for student translators and interpreters, technology has become an important factor to take into consideration, given the unmistakable impact that it has on professional translation and interpreting practices. After a review of previous studies dealing with the use of virtual technologies in translator and interpreter training, several virtual communication tools will be tested and evaluated both from the trainers’ and the trainees’ perspectives. Finally, we will reflect on the tools’ pedagogical advantages and drawbacks in order to formulate recommendations for using these technologies in translator and interpreter training contexts. Claire Lemaire is a translator who worked in the IT industry before studying computational linguistics. She just finished a PHD on the translation technologies practices of specialised translators and domain experts, in the ILCEA4 laboratory and is currently Visiting Researcher at LIG-GETAL laboratory. 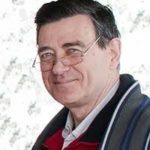 Christian Boitet is emeritus professeor at Université Grenoble Alpes and continues his research on MT and CAT in the LIG-laboratory. He started in 1970 with the Professor Vauquois and succeeded him as director of the GETA study group on MT from 1985 to 2007. His new project aims at using ML (with DL) for developing UNL-based enconverters ans deconverters for as many under-resourced languages as possible. Thanks to an experiment in French companies, we found out a new situation of multilingual writing, for which there seems to be no dedicated translation aids. Given the relative lack of competence on the target language (usually but not always English) we propose to build a new kind of CAT tools incorporating interactive (but asynchronous) disambiguation in source at some point during analysis and specific PE aids tuned to the user profiles. The new system would be a DBMT (Dialogue-Based MT) system, that allows the user to edit the source and target texts, during the translation process, instead of translating and then post-editing the target text. The system would use two advantages of this new situation: (1) the expert knowledge of the “translating writers” on their domain, and (2) the possibility for them to change both texts, unlike a regular translator. That approach would solve one of the main problems of MT, namely the poor quality of source texts usually given to the translators. Also, the MT results would be immediately assessed and if the translation is bad, immediately produced again after a change in the source text so that the source text be more machine translatable. 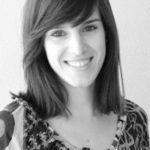 Dr Silvia Rodríguez Vázquez is a postdoctoral researcher at the Department of Translation Technology (TIM) of the University of Geneva, Switzerland. Silvia’s research interests include web accessibility, localisation, universal design and usability, and the accessibility of translation technologies. 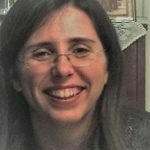 Over the last years, she has been a strong advocate for the achievement of an accessible Multilingual Web for all, disseminating her research both through academic and industry-focused publications, including an article on the relevance of considering accessibility best practices in web localisation processes for MultiLingual magazine. Dr Sharon O’Brien is a senior lecturer in the School of Applied Language and Intercultural Studies, Dublin City University, Ireland. 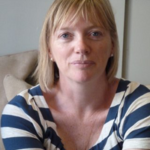 She is also a Funded Investigator in the Science Foundation Ireland funded research centre, ADAPT, and was Director of the Centre for Translation and Textual Studies at DCU. 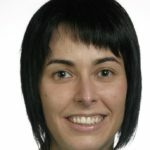 Her research interests include translator-computer interaction, localisation, cognitive ergonomics in translation and translation quality assessment. She previously worked in the localisation sector as a language technology specialist. In an increasingly competitive business landscape, the ever-evolving localisation industry is now striving for differentiation. One of the strategies adopted, particularly by the largest multinationals, has been to expand their service coverage beyond traditional localisation and the provision of translation technology to satisfy new digital market needs. Concretely, we have observed a considerable increase in the number of companies showcasing knowledge and know-how in Digital Marketing and User Experience Design, always with a clear goal: enhancing the final end user experience when interacting with multilingual web content. But are we really ensuring an optimal experience for all? 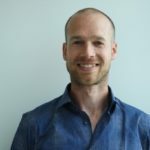 If the localisation industry is looking to consolidate this strengthened service portfolio, awareness of key human-computer interaction aspects and best practices, including web accessibility standards, could be crucial for success. Drawing upon the data collected through a series of interviews with representatives of six world-leading multinational companies from the localisation industry and one of their clients, this paper will report on the readiness of current localisation workflows and professionals to deliver more accessible multilingual websites for all. We will also review the overlaps between responsive design, SEO and current web accessibility guidelines, and present how their compliance could bring competitive advantage to localisation businesses.